Gearbest’s Ultimate Clearance sale 2016 is the last and probably the best sale of 2016 as you have the chance to purchase the best in every category for an incredibly low price as well as with some exceptional deals. This deal gives you the chance to purchase products from a wide range. The categories are electronics, toys, automobiles, home and furniture, outdoor and sports, watches, jewellery and much more. There are some incredible deals and the discounts are as high as 80%. Onda V919 is an amazing 3G phablet which comes with an impressive spec list. It comes with a 9.7-inch touch screen having a resolution of 1024 x 768 pixels. Its screen display excellent images with adequate sharpness and with vibrant colours and crystal clear clarity. It comes equipped with Intel SoFIA 3G-R Quad Core processor which clocks in at 1.0GHz and delivers a wonderful performance. Its processor allows you rapid multitasking as well as delivers stunning graphics and smooth response to all instructions. 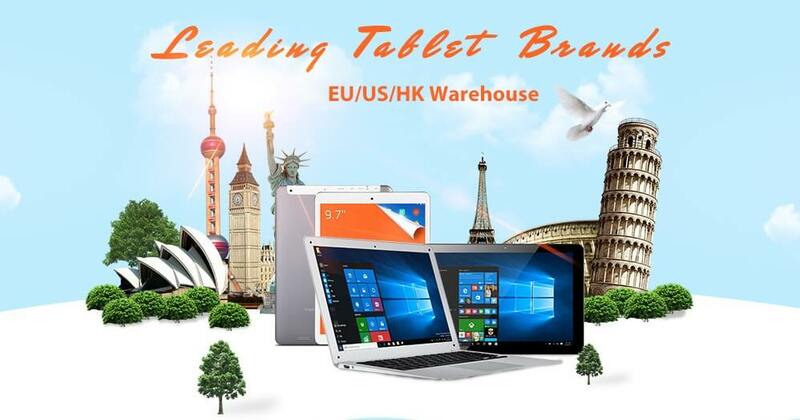 It comes with 1 GB RAM which is acceptable for a phablet as it delivers sufficient bandwidth for running multiple browser windows, games and apps smoothly without any issues of hanging or lagging. It also comes with 16 GB eMMC ROM storage capacity which is ample room for storing your favourite songs, videos and movies as well as your important files and folders. Its storage can further be expanded to 128 GB using TF card expansion. Onda V919 is available on GearBest and can be purchased for just $107.99 after a discount of 51%. LeTV Le2 Pro is a 4G Phablet which is filled with amazing specification and excellent features. It comes with a 5.5-inch display screen having 403 PPI and a full HD resolution of 1920 x 1080 pixels which guarantees to bring your images to life. Its screen displays sharp images with crystal clear clarity and vibrant colours. It comes loaded with Helio X20 Deca Core processor which clocks in at 2.3GHz and is often used in only the high end devices as it is one of the best available in the market. Its processor is complemented wonderfully by its ARM Mali-T880 GPU which allows you to smoothly run HD videos and play games with heavy graphics smoothly without any issues. It comes with 4 GB RAM which is incredibly good for a phablet as it provides high bandwidth for smoothly running multiple browser windows, games and apps without any interruptions. It also comes with 32 GB eMMC ROM which is ample space for storing your favourite songs and movies or your important files and folders. LeTV Le2 Pro can be purchased on GearBest for just $189.99 after a discount of 50%. It is available in two colours; Golden and Rose gold. Yepo 737S comes with a 13.3-inch display screen having full HD resolution of 1920 x 1080 pixels. Its amazing display screen guarantees to bring your images to life as it displays sharp and crystal clear images with vibrant colours. It comes equipped with Intel Cherry Trail Z8300 Quad Core processor which clocks in at 1.44GHz and is one of the most preferred processors these days. Yepo 737S is available on GearBest and can be purchased for just $179.99 after a discount of 45%.